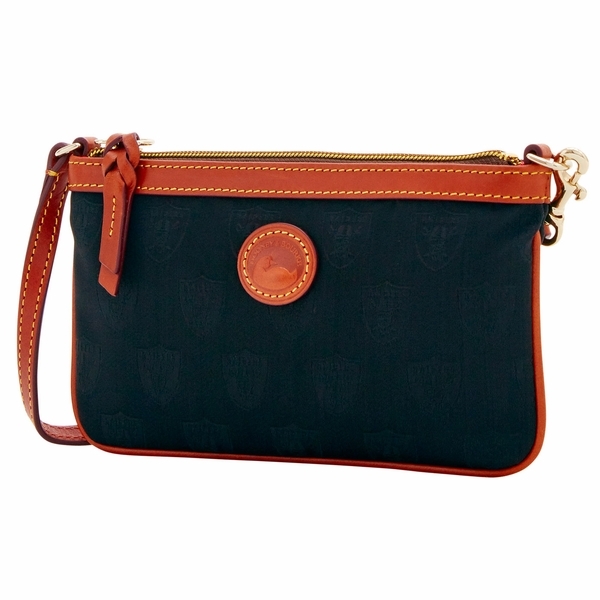 Make a statement with this classic combination of Dooney & Bourke and football! 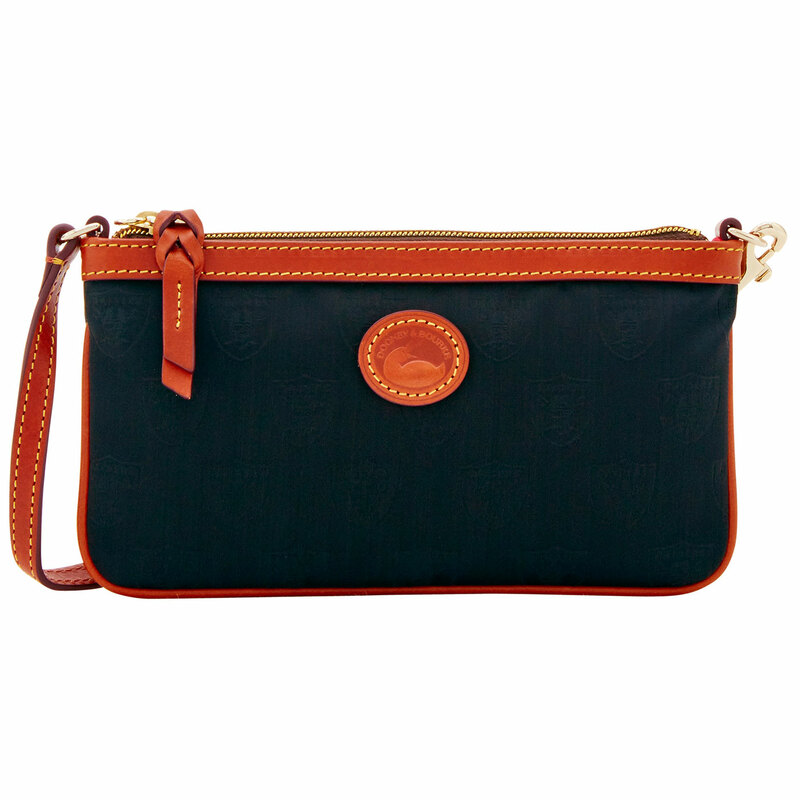 The Raiders Dooney & Bourke Nylon Slim Wristlet is all you need to carry your lightweight essentials as you show off your Raider pride! 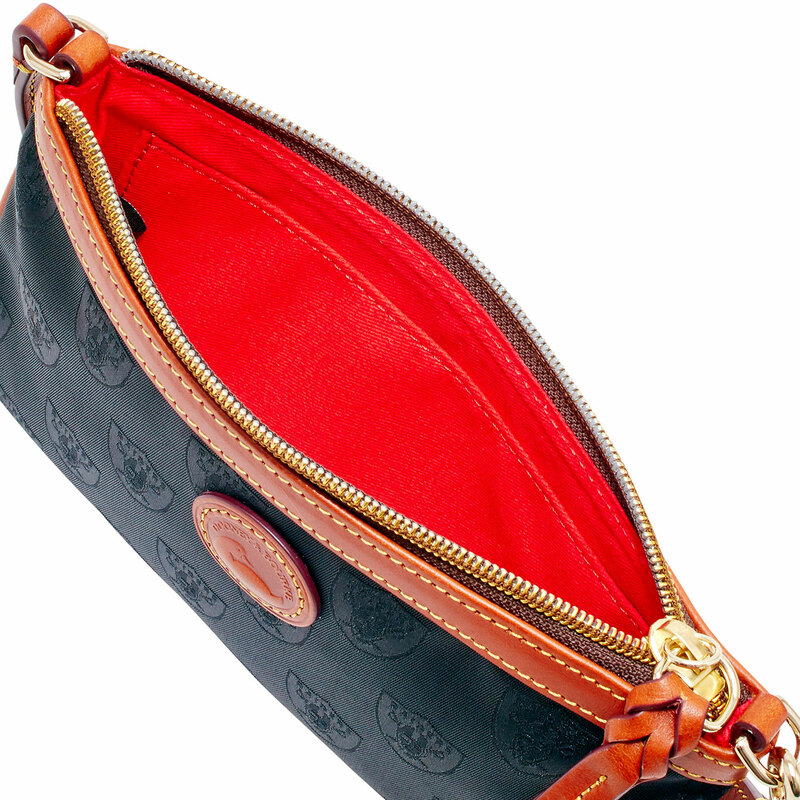 This wristlet features a zip closure with wrist strap. Measures approximately 4.5� x .75� x 8�.